Anshar Studios is looking for talented Art Director to join our team on site in Katowice, Poland. "I hereby agree to the use of my personal data included in the recruitment application (including CV) in the recruitment process for the position indicated in the job offer published by the company Anshar Studios S.A."
"I hereby agree to the use of my personal data included in the recruitment application (including CV) in future recruitment processes organized by the company Anshar Studios S.A."
Founded in 2012, Anshar Studios focuses on 1st and 3rd party game development for all major gaming platforms. 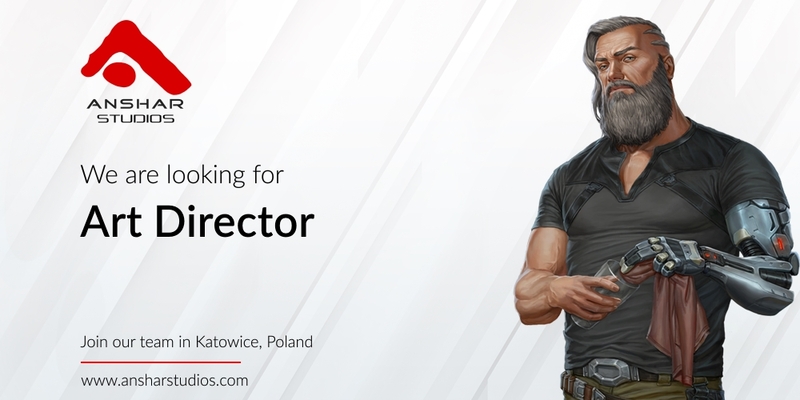 Currently, we're employing over 60 specialists in our studio in Katowice and we are very open for new talented developers willing to join us on site. Working with Anshar gives you the opportunity to develop your skills, participate in challenging projects and team up with a bunch of skilled people with a passion for video games.